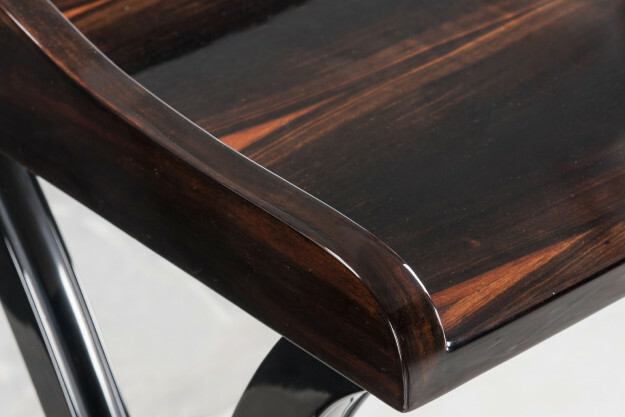 Combining clean lines with traditional woods, Venice is evidence that a table can make a powerful statement without filling up the space. 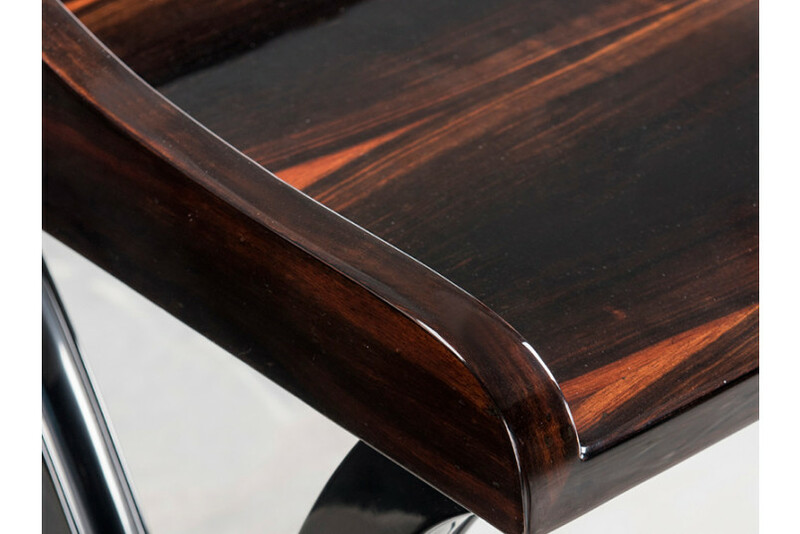 Finished in a beautiful veneer wood, it can be your ideal companion when you are working or catering to your guests. Its admirable construction will surely get you grand accolades. Venice comes with a super-sleek shape & stylish top. While the two stylish curved borders enclose both the sides of the table, one side remains open for utmost convenience. The jet black legs, in a curvaceous cross are in gloss finish for lustrous reflections. The aesthetic legs are connected through gold leaf detailing to provide a striking contrast.